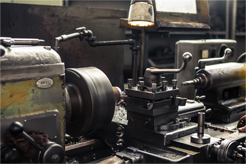 Since 1983, Serco Manufacturing Company has been providing Quality Products and Services in the precision sheet metal fabrication, precision machining and assembly industries. Serco’s commitment to Total Quality Management is visible thru its people, products and satisfied customers. Our CNC machines along with Experienced Employees allow us to specialize in prototyping and production runs of varying sizes. Our capabilities include, but not limited to precision sheet metal, precision machining, prototyping, electro-mechanical assembly, wet painting, powder coating, silk screening, TIG & MIG welding, robotic welding and custom tooling design. Most importantly we offer you a combination of talented technicians with years of experience, combined with modern equipment and a modern 149,000 sq ft facility to produce the most cost effective, quality products in today’s industry under one roof. Ask about a shop tour to see the difference that we have to offer.